Please Suggest me the best totally free (unlimited users) cloud based HR management system which will offer Attendance management,leave management and payroll management too. A cloud based system which can provide Attendance Management, Leave Management and Payroll Management. Will not come for free at all. Apart from platform, FastCollab works as a Marketplace to Outsource Business Services like - Business Travel, Payroll, Accounting, Insurance and Recruitment. I represent PeopleWorks. Our HCM is a cloud-based Employee Lifecycle Management solution which manages all aspects of an employee’s tenure with their employer from Hire to Retire. 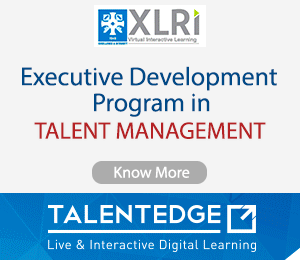 It helps you automate your complete HR processes. You can visit Human Resource Management System, HR Software -PeopleWorks for more information. Also you can write to me on for further details on it. You can try ADP Vista HCM.It is built on the cloud by global experts in human capital management solutions. The right combination of expertise, processes, and powerful technology makes ADP different from rest of the vendors but it is not free. It is highly impossible to get a free HR software with the features which you are looking for. Having a premium HR software will integrate your payroll with timesheet software, attendance management system, and leave management system., which will help you to pay your employees with a single click based on projects or leaves. Why not start a free trail of our software and test it yourself before going for a paid version? Feel free to message us or contact us if you have any other queries. Any body help to introduce the time office functioning. kindly share the whole Time offfice function with the format. I hope you have come across a software that you've been looking for. There are many softwares available at a reasonable cost catering to your requirement but certain modules will be charged as no good software comes for free. However, SaaS based products are relatively cheaper and easier to use. greytHR is one such cloud based software with more than 4,000 highly satisfied customers and managing 700,000 employee records daily. greytHR understands what it takes to deliver a high quality software service on a 24 x 7 basis. They have a 30 day free trial and the pricing is as low as Rs. 995/ month. It covers all crucial aspects of payroll management; leave, attendance, payroll processing, statutory compliance, etc. This Tips to evaluate an application on SaaS will help you get a better understanding in evaluating a software. factoHR - simplest fastest HR engine provide a cloud based HR Management software containing features like employee management, document management, employee on-boarding, asset management, payroll processing, attendance management, leave management , performance management, travel & expense management and many more. 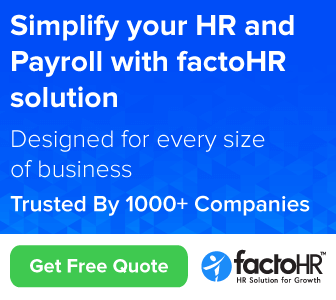 factoHR offers 30 days free payroll and HR software. factoHR comes with affordable prices and most automated, integrated, customized & efficient solution. Schedule factoHR free demo https://factohr.com/schedule_demo/ and get know more about it. You can check out Kredily, if you're looking for a free HRMS. Kredily is India’s only free HR & Payroll software and has been trusted by 1000+ companies. A few benefits of using Kredily HR & Payroll software are. So, create your free Kredily account today and automate your HR & Payroll tasks in minutes! Train the Trainer - which institutes offer this programme? PF and TDS - What all should be included in an appointment letter? Can MDs PA undertake MDs role/function in his absence? Are Managerial Level officers in a company answerable?